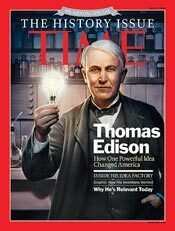 Characteristic of Edison’s major innovations, like the phonograph, the light bulb / electric utility industry, and R&D labs….the great inventor also created the individual components and the industry itself. It was no different with his motion picture innovations. His movies changed the world and how we see ourselves. 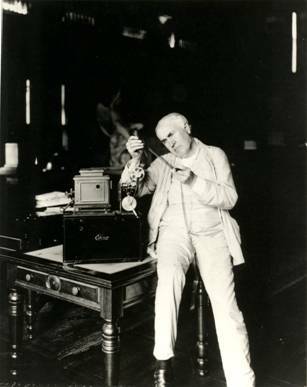 Edison’s initial work in motion pictures (1888-89) actually resembled his phonograph, with pictures arranged on a cylinder. These first motion pictures were rather crude, and hard to focus. Working with trusted associate and mucker K. L. Dickson, and using George Eastman’s improved 35 mm celluloid film, which was cut into continuous strips and perforated along the edges, the film was moved by sprockets in a stop-and-go motion behind the shutter. 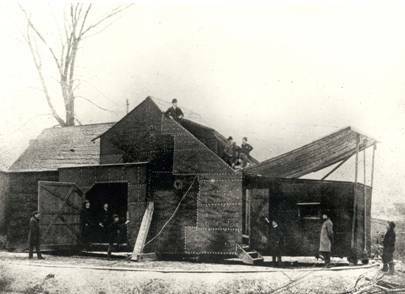 After 1895, Edison motion pictures tended to center on non-fictional subjects, shot on location. Famous show people of the day including Buffalo Bill, gunslinger Annie Oakley, and strongman Eugene Sandow were filmed by Edison’s team. Smaller and more portable cameras were making it possible to film on site, and capture “actuality” themes like parades, special events, military exercises. 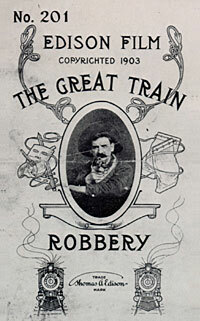 It was at this time that the landmark western, “The Great Train Robbery” was filmed in a number of locations in northern, NJ. This helped boost NJ as a film making area and inspired the film careers of Mary Pickford, Douglas Fairbanks, Pearl White, and Harold Lloyd who all performed and lived in Fort Lee. The public was hungry for sporting events and boxing matches and this soon propelled the industry in new and innovative ways. After World War I the movie industry moved west to Hollywood. In 1927, the year of the establishment of The Academy of Motion Picture Arts and Sciences, the first honorary Oscar went to Thomas Edison, signed by over 40 Hollywood greats of the time, including Douglas Fairbanks, Mary Pickford, and Sarah Bernhardt. Famed actors Mickey Rooney [Young Tom Edison, March-1940] and Spencer Tracy [Edison, the Man, May-1940] both portrayed Edison on the big screen. 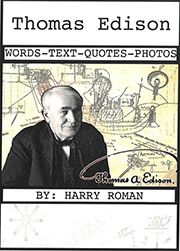 Spencer Tracy had planned to visit Mrs. Edison at Edison’s Glenmont home in Llewellyn Park, West Orange, NJ upon the opening of his Edison film at a theater in nearby Orange, NJ; but a terrible rainstorm and inclement weather prevented the meeting. Today, the film and TV movie industry employs about 2.4 million people, and contributes about $180 billion annually to the national economy. You can see movies in theaters, on the Internet, your TV, on iPads, computers, laptops, smart phones and many other electronic devices, just about everywhere bringing the world together. 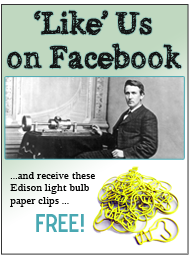 Thank you Mr. Edison! This entry was posted in Did You Know? 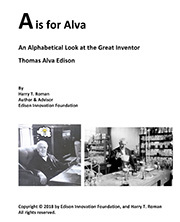 and tagged Edison Invents the Movie Industry, Edison Muckers, Edison Only Links, film, innovation, Invent, invention, motion pictures, movie, movie camera, the Movie Industry, thomas A. Edison, Thomas Alva Edison, thomas edison, TV on April 25, 2011 by Edison Innovation Foundation.